Every time Daniel and Jimy are in each other’s company, they're inseparable friends. Like many other boys, they like to play with Legos and video games. 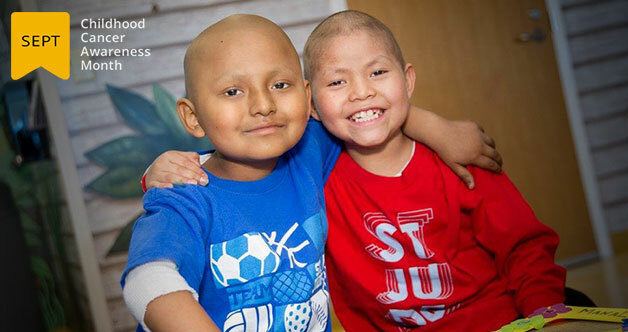 But in addition to being good friends, both boys find themselves at St. Jude, where they're undergoing treatment for leukemia. Read their story, and find out how you can help us end childhood cancer. Find out how Virgina Tech's Tau Kappa Epsilon (TKE) chapter raised more than $62,000 this year for the children of St. Jude. For you — free shipping! Stock up on office and stationery supplies, like this St. Jude journal, for your back-to-school needs. And, enjoy free shipping for a limited time! A small, Mississippi town participates in an annual bike-a-thon to raise money for St. Jude kids. Find out how much they raised this year.